Raising the bar even higher is the R12 compound with an excellent initial bite, high and consistent torque, and outstanding fade resistance over and above the R10. R12 has a temperature range of 200°F to 1860°F (93°C to 1015°C). The G-LOC™ R12 continues our excellent release and modulation that has been engineered into all previous G-LOC™ compounds. The R12 is slightly more disc/rotor aggressive than R10 but more disc/rotor friendly compared to our competition. 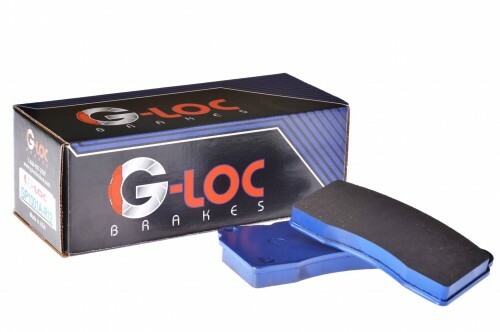 G-LOC™ does NOT recommended R12 for daily use on the street due to elevated levels of dust and noise.